The Clark County School District is hiring for a number of vacant positions. To help prospective applicants, members of the Human Resources Division will go out into the community this month to meet with those who may be interested in working for the District. “The Future Is CCSD” hiring fairs will be held on four different days at four different locations around the Las Vegas valley. At the fairs, applicants can visit with human resources representatives about the available positions and requirements for them. Computers will be available on site for people to begin their applications or modify an existing application. Tuesday, March 26, Spring Valley High School, 3750 S. Buffalo Drive, Las Vegas, NV 89147, 9 a.m. – 12 p.m.
Wednesday, March 27, Liberty High School, 3700 Liberty Heights Ave., Henderson, NV 89052, 2 – 5 p.m.
Thursday, March 28, East Career and Technical Academy, 6705 Vegas Valley Drive, Las Vegas, NV 89142, 4 – 7 p.m.
Saturday, March 30, Northwest Career and Technical Academy, 8200 W. Tropical Parkway, Las Vegas, NV 89149, 9 a.m. – 12 p.m. The District is always seeking licensed teachers for the critical needs areas of math, science, special education and elementary education. In addition, the District is also seeking prospective employees who have a bachelor’s degree in another area, and these individuals will have an opportunity to become a licensed teacher through the Accelerated Licensure Teacher Academy (ALTA). CCSD also provides flexible scheduling for those seeking substitute teacher positions. Individuals who may not have a college degree, but are working toward a degree and have 60 or more college credit hours, are eligible to become a substitute teacher. 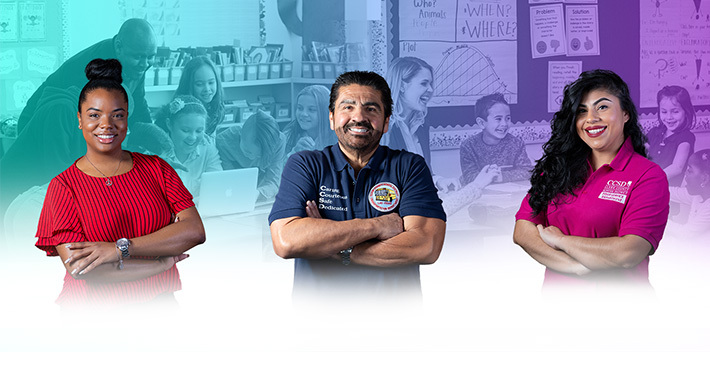 Anyone who is interested in learning more about all of CCSD’s opportunities can visit teach.vegas or contact CCSD’s Human Resources Division by calling 702-799-5427.